Each month, an ALSC member is profiled and we learn a little about their professional life and a bit about their not-so-serious side. Using just a few questions, we try to keep the profiles fun while highlighting the variety of members in our organization. So, without further ado, welcome to our ALSC profile, ten questions with ALSC member, Carol Edwards. Each month, an ALSC member is profiled and we learn a little about their professional life and a bit about their not-so-serious side. Using just a few questions, we try to keep the profiles fun while highlighting the variety of members in our organization. So, without further ado, welcome to our ALSC profile, ten questions with ALSC member, Brenda Hahn. ALSC Member Profile – We want to learn about YOU! 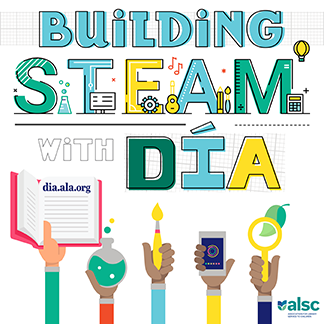 Have you noticed the monthly ALSC Member of the Month Profile on the Blog? Have you enjoyed reading these profiles? 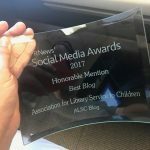 Each month, an ALSC member is profiled and we learn a little about their professional life and a bit about their not-so-serious side. Using just a few questions, we try to keep the profiles fun while highlighting the variety of members in our organization. So, without further ado, welcome to our ALSC profile, ten questions with ALSC member, Laura Simeon. Each month, an ALSC member is profiled and we learn a little about their professional life and a bit about their not-so-serious side. Using just a few questions, we try to keep the profiles fun while highlighting the variety of members in our organization. So, without further ado, welcome to our ALSC profile, ten questions with ALSC member, Emily Bayci.